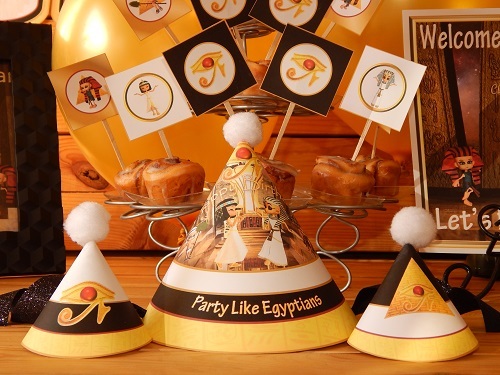 Printable Egyptian party supplies that are awesome & unique. 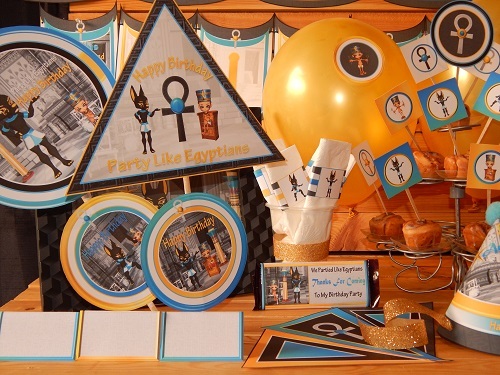 The perfect party theme for you to dance, party, and walk like an Egyptian. 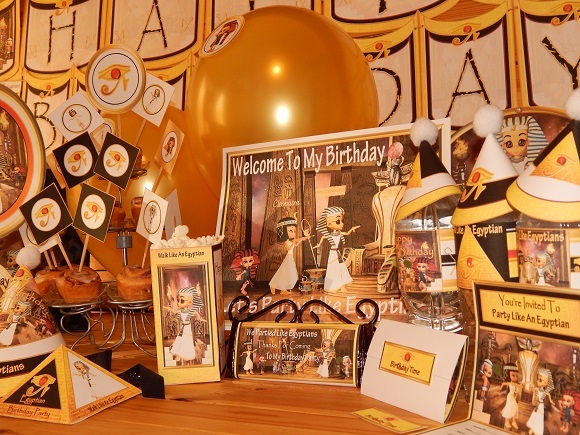 This party theme is exclusive & digitally hand designed. 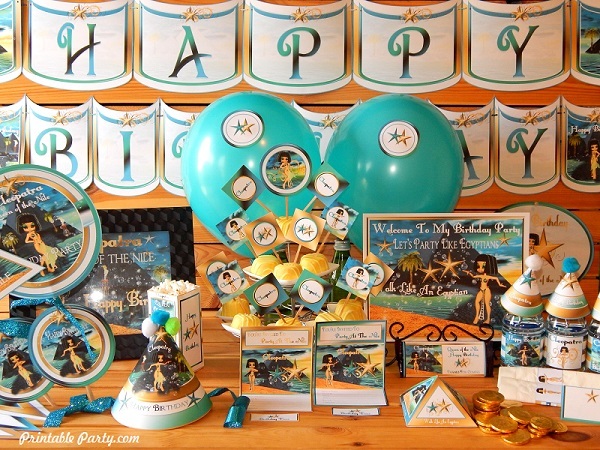 This party pack is blasted with eye popping cool colors. You'll see gold, black, & red orange blended colors throughout. 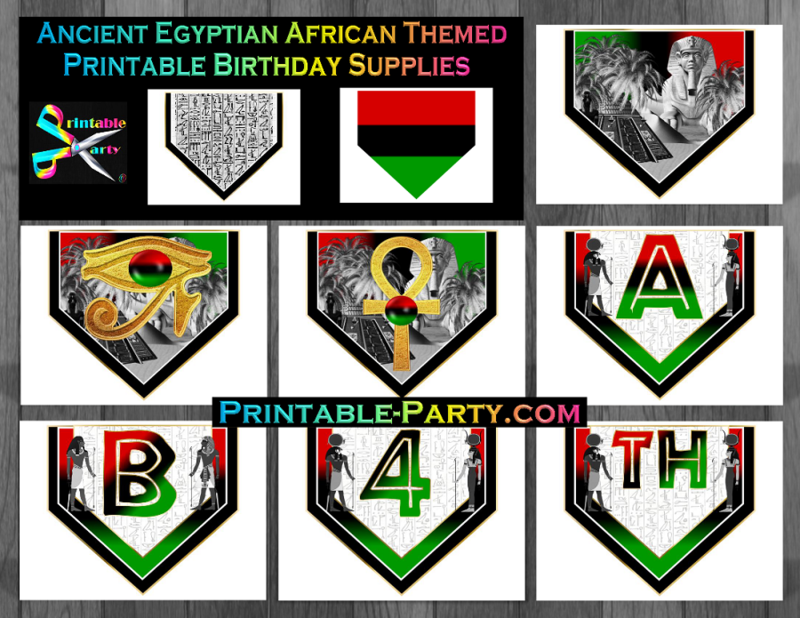 Includes fun party themed designs of the Eye of Horus, hieroglyphics, little Egyptians, Cleopatra, King Tutankhamen, & more. All Downloadable Orders Are Given To You Instantly Via File Link. Orders Are Also Sent To Your Email Address Instantly After Purchases for You to Download See How It Works. 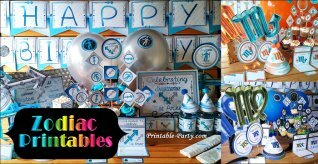 Our printable party pack will print out clear & includes assembly instructions to help you assemble them. 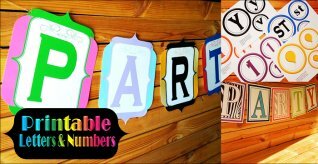 Printables are easy to trim out with a sharp pair of scissors. After making a purchase for digital goods you will be taken to download your PDF file to save to your computer, storage device, or disk. Our PDF files are created to be printed on 8.5x11 inch paper. Thick paper looks great when printing. You can print at home or take your file to your nearest copy shop, photo lab, or staples/office depot to be printed for you. Files should be opened in the newest version of the Free Adobe PDF Reader to view, print, or, Add Digital Text onto printable files. 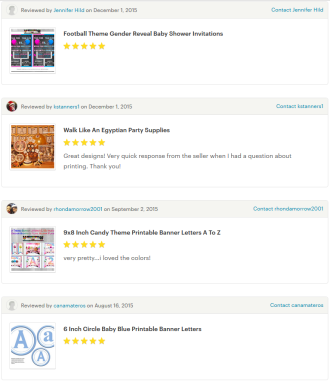 View our FAQ to learn how to add digital text onto printables or Contact Us for any questions you may have. 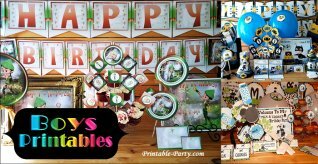 Party Ideas: Add your very own touches of style to make these awesome printable party supplies come to life. 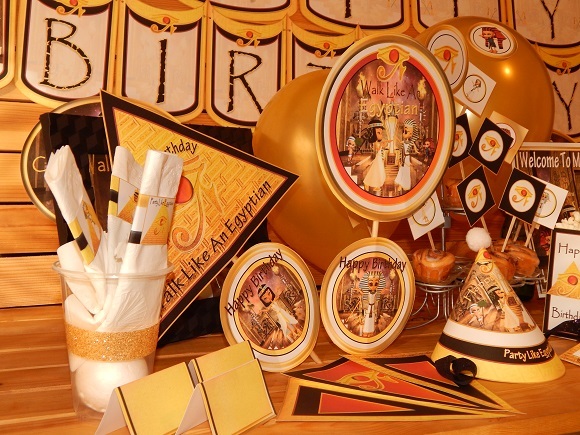 Hang balloons around party areas, streamers, & use solid color tableware that matches your printable party theme. 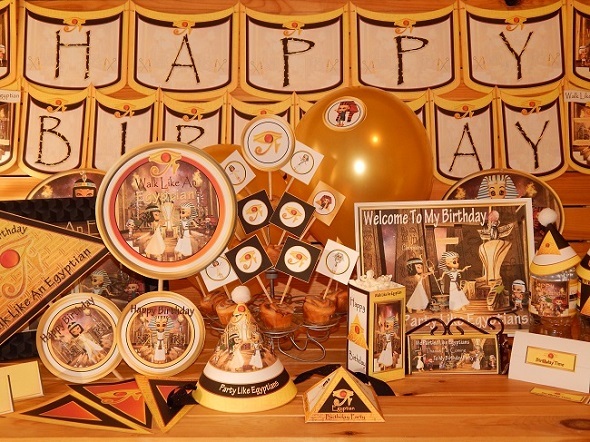 Set up a main party table featuring the theme items, banner, & cake. Invite (unfolded size is 4.5x7 Inches) these invites can be left unfolded to fit in 5x7 envelopes or tri-folded to fit 4x6 A2 inch envelopes. 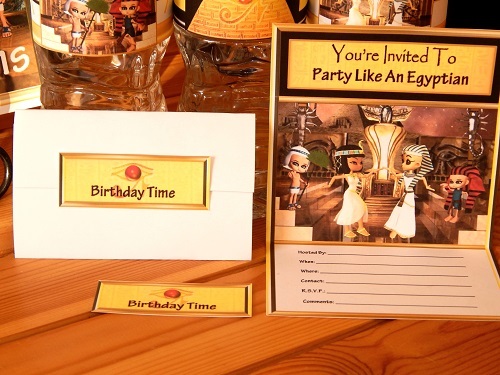 Invites come in 2 designs. 8x8 inch letters that spell happy with 2 decor flag designs. 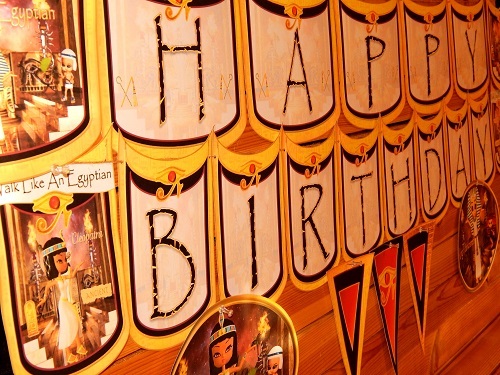 5x8 inch letters that spell birthday & 2 decor flag designs. 3 - 3x8 inch pennant flag designs. Water bottle labels come in 3 different designs. 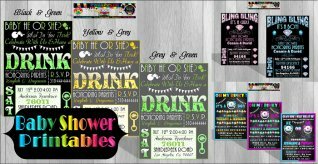 These drink bottle labels can be wrapped around any personal sized bottled drink. Easy to trim & seal with tape. Printable standard cone party hat & mini hats. 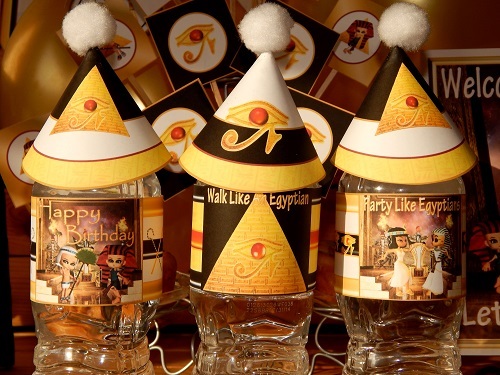 Mini hats can used for decoration & as bottle toppers. Easy to assemble by using a staple or tape. Minis come in 2 designs. 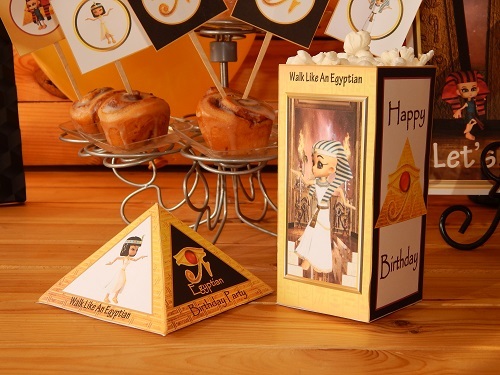 3x6 inch & pyramid printable snack & favor boxes. 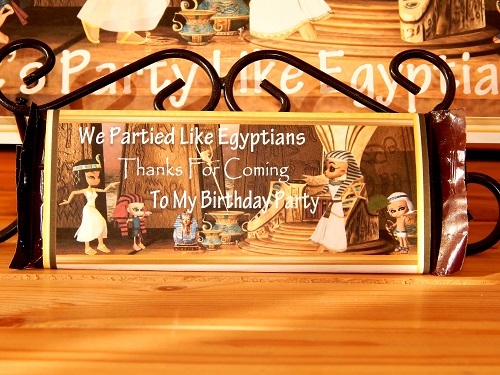 Can be filled with dry appetizing snacks & filled with small partying gifts. Can be put into a cellophane bag to secure stuff. 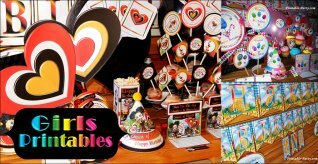 Printable candy bar wrapper favor come in 1 design. Made to fit around Hershey's brand chocolate bars, cookie & cream bars, & Mr. Good bars. Easy to trim & wrap around candy.